Perfect gift for friend, family or yourself. Rectangle Drop Size: App 3.3cm 2.3cm. Note: Due to the light and screen difference, the item's color may be slightly different from the pictures. Color: Silver (Show as picture). 100 new high quality Color:As the photo Material: Acrylic alloy Package including: 1pcs Size: 6cm. Funko Pocket Pop Key Ring/Key Chain. Due to the difference between different monitors, the picture may not reflect the actual colour of the item. (Size: Approx 4cm in height (excluding strap). Out of production and rare. 1) Copy the item number. (Size: Approx 4.5cm in height (excluding strap). Out of production and rare. 1) Copy the item number. 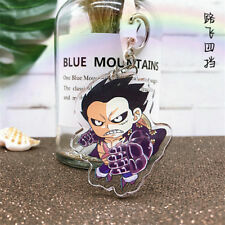 (One Piece Ichiban Kuji Prize Swordsman Clip Strap - Shiki the Golden Lion version. Size: Approx 10.5cm in length (excluding strap). Out of production and rare. Material: Plastic. 1) Copy the item number. 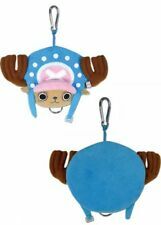 (One Piece Ichiban Kuji Dressrosa Hen Prize Rubber Clip Strap - Koala. Obtained at random as lottery prize. Size: Approx 6.5cm in length (excluding strap). Out of production and rare. 1) Copy the item number. (Out of production. 1) Copy the item number. With this One Piece keychain facing Luffy, your favorite hero will always watch over your keys! 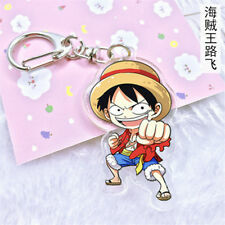 One Piece Colosseum Battle Hen Ichiban Kuji Prize Rubber Keychain - Monkey D Luffy version. Obtained at random in raffle prizes. Ticket cost was 4.60GBP. It's a flat piece of rubber that can be curved and buttoned, forming a case around the key. 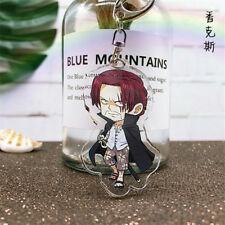 Exclusive Japanese Prize, One Piece Shanks Pendant/ Charm. Type: Exclusive Arcade Prize. 1 PVC Keyring. - 1 Mug 320ml. Dishwasher safe. - 1 A6 Notebook. You want to make a fan of One Piece happy?. One Piece Gift Set. Get assistance at any point. (One Piece x Dragon Ball Z Crossover Plush Doll Soft Toy - Chopper x Tao Pai Pai. Out of production and rare. 1) Copy the item number. Condition: Used - good condition. 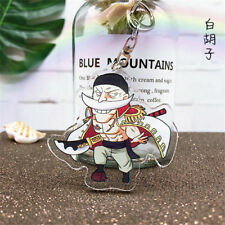 (One Piece x Lipton Cookie / Biscuit Mascot Swing Keychain - Brook. Out of production. 1) Copy the item number. Country: Japan. (One Piece Ichiban Kuji Prize Romance Dawn for the New World Strap Keychain - Monkey D Garp version. Size: Approx 4.5cm in height (excluding chain). Out of production and rare. 1) Copy the item number. (One Piece Alphabet Soft Rubber Mascot Clip Strap - Roronoa Zoro. Size: Approx 4.5cm in length (excluding strap). Out of production and rare. 1) Copy the item number. 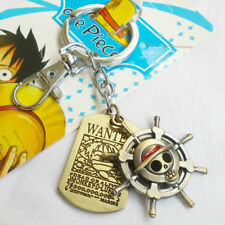 (One Piece Ichiban Kuji Prize History of Ace Keychain - Gum-Gum Devil Fruit version. Size: Fruit is approx 3.5cm in height (excluding chain). 2) Log on to. Out of production and rare. 1) Copy the item number. (One Piece x Panson Works Mini Skateboard Mini Skateboard Strap - Luffy version. Size: Approx 9.5cm in length (excluding strap). Out of production and rare. 1) Copy the item number. 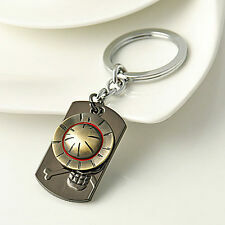 Type: Keychain. This could be the best Gift for your family or your friends. Quantity: 1pc. Size app : Chain length:4cm Pendant Length:8cm Width:1.5cm. Your kind understanding and patience will be highly appreciated. We will reply you ASAP. Colour : As the pictures shown. Material : Alloy. See all pictures for more details. 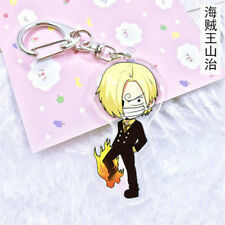 Product Title: One Piece Zolo Keychain. Made by Banpresto. Quantity: 1pc. Material : Alloy. Size app : Chain length:4cm Pendant Length:8cm Width:1.5cm. We will reply you ASAP. Your kind understanding and patience will be highly appreciated. Quantity:complete 5 types 5 papers. Display card NOT included. - low value and gift declaration. Never been played. [ Country of Manufacture ]. We do our best for you!! the manufacturer will change contents, date and quantity for sale. [ Note : Pre-Order (P/O) ]. [ Multiple sizes and colors ]. Japan Usage Item. Size app :Length:10cm,Pendant Length:2cm,Width:2cm. Material :Alloy. We will reply you ASAP. Your kind understanding and patience will be highly appreciated. You will receive 1 keychain with 2 charms on it. [ Country of Manufacture ]. We are treating new item, but there is possibility that item has tears, dents, dirts. [ For Collectors :Item Conditon ]. the manufacturer will change contents, date and quantity for sale. Double side any 2 characters! Choose from Luffy, Nami, Zoro, Sanji, Robin, Ace, Law w/ Chopper, Sabo, and Boa Hancock. 2x3" Acrylic Keychain featuring cute and original chibi art! A perfect collectible item for any fan to use with keys or on a bag ♥ Also available in gift set bundle with Buttons and Sticker Sheet. [ Country of Manufacture ]. We do our best for you!! the manufacturer will change contents, date and quantity for sale. [ Multiple sizes and colors ]. [ For Collectors :Item Conditon ]. Japan Usage Item. Including strap he is 4 in. Bring the fun of One Piece along on every daily adventure!